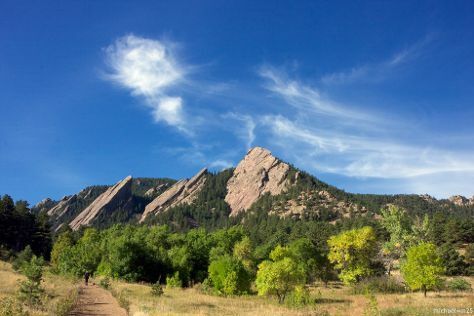 Located in the foothills of the Rocky Mountains, Boulder is a busy college town known for its progressive values and natural resource conservation. The city remains a magnet for a young crowd of students and a mecca for serious athletes including runners, mountain bikers, rock climbers, and cyclists who use the elevation to challenge their bodies. The front door to the wilderness areas of the Rockies, the city of just over 100,000 is not only one of the nation's most physically active towns, but also one of its most expensive. The city is easy to get into and move around in, offering a quick connection to Denver 48.3 km (30 mi) away through a shared mass transport system. Once in Boulder, take advantage of its bike-sharing program, the easiest way to access the city's major attractions. Boulder is in Colorado (CO). Use our United States journey planner to arrange the hows, wheres, and whens of your trip to Boulder.